The demand of business analytics professional is increasing at a very fast pace. Research says, there will be a shortage of 2,00,000 business analytics professionals in the next 3 years. Businesses need data to make business related decisions. It is very important to them to start collecting and storing the data so that they can make informed decisions. This very fact has raised the demand for business analytics professionals. To encash the opportunity and train people in the field of business analytics, universities has started offering specialized courses in the field of Business Analytics. People who are interested in making their career in the field of Business Analytics can join Certification courses, Diploma courses, and Degree courses offered by various universities. These courses are available through full-time, hybrid and distance learning mode. In this article, we'll tell you about the top 5 Distance Learning MBA courses in Business Analytics. Institute of Management and Technology (IMT) is one of the top institutes in India for distance learning management courses. 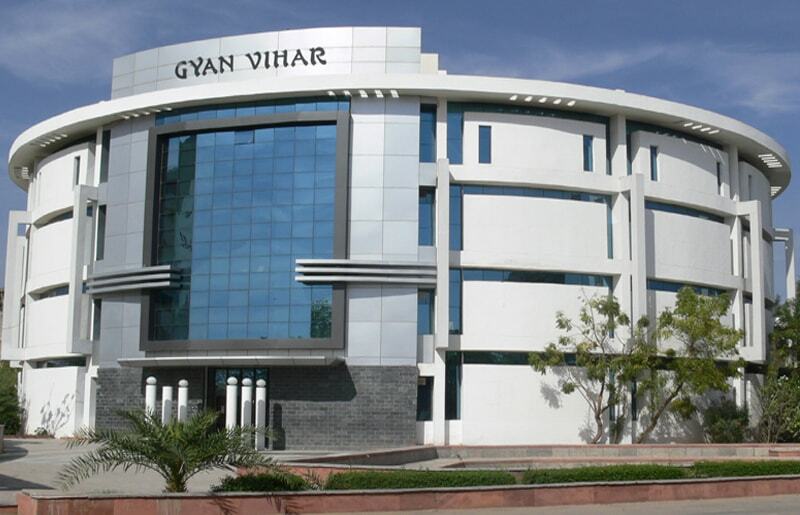 They have recently introduced a 2 year PGDM program in business analytics through distance learning mode. People with 2 years work experience or 60% marks in 10th, 12th & graduation can join the program. The program is designed keeping the working professionals in mind. The 2-year course is divided into the 4 semesters. You will learn all the basics of business analytics that will help you in the job. The total fee for the program is INR 27500 per semester. Students are required to pay the fee at the beginning of every session. Payment can be made through demand draft and online payment gateway. Suresh Gyan Vihar University is a renowned private university in India, located at Mahal, Jagatpura, Jaipur (Rajasthan). The distance education wing i.e SGVU-DE was established in the year 2012 with the objective to help students who can not attend regular courses for any reasons. The University offers UG & PG courses i.e BBA, BCA, PGDCA, MBA, and MCA. under the distance education mode. The Distance MBA program offered by SGVU-DE comes with 22 specializations to choose from. Distance MBA in Business Analytics & Intelligence is one of the popular MBA program offered by the University. It is a two years degree program, divided into 4 semesters. The maximum duration to complete this course is 4 years. The program is designed for data-savvy professionals wants to make their career in the field of Big Data & Analytics. Students with 50% marks in graduation can apply for this course. The total fee for the MBA program is INR 62,400 when you pay the complete fee in a single installment, and INR 74,400 for you pay in 4 installments. For foreign and NRI students, the fee is $2500 when you pay in a single installment and $3100 when you pay in 4 installments. Venkateshwara Open University is a private university located in Arunachal Pradesh. The University offers 2 years distance MBA and 1 year Executive MBA programs. The distance education MBA program offered by the University comes with 18 specializations to choose from. During the course, you will learn all the theoretical knowledge that is required to pursue your career in the field of Business Analytics. You will also get specialized training regarding advanced analytical techniques that will help you make managerial decisions. Students who have completed their graduation degree can apply for this course. The minimum duration to complete the course is 2 years and the maximum is 4 years. The university is recognized by the UGC DEB for offering these courses. The program is empowered by Inside Edusphere. That means you will get better support for online learning. Here are the benefits of Inside Edusphere. There are only handful of universities in India that are offering a Distance Learning MBA in Business Analytics. The 3 universities that we have mentioned here are the one that we know offering this course in India. If you know about any University in India that is offering this course, let us know and we'll try to add it to our list. The demand of skilled Business Analytics professionals is increasing in India and we hope people with a masters degree in the field will get a better job.